California am Kurfürstendamm offers private parking and is a only a 10-minute walk from Zoologischer Garten Train Station. Direct buses from Uhlandstraße take less than 20 minutes to get to/from Tegel Airport. 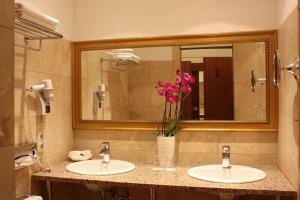 Please note that use of the wellness area costs € 12.50 per person per day. It includes a fitness centre, dry sauna, steam sauna and infrared sauna. Massages are available upon request for an additional fee. Stylish room with wall art, a modern bathroom and WiFi internet. Features designer furnishings and a flat-screen TV. 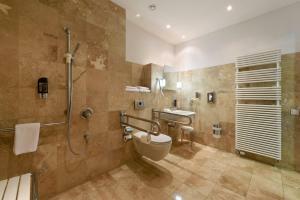 Includes a bathroom with a natural stone décor. 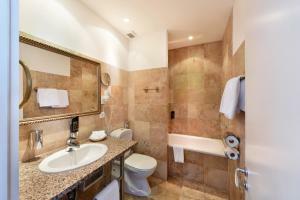 Stylish room with wall art, a modern bathroom and Wi-Fi internet. Features designer furnishings and a flat-screen TV. 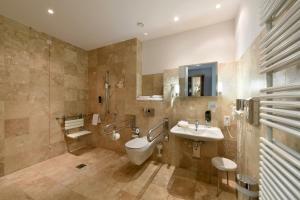 Includes a bathroom with a natural stone décor. 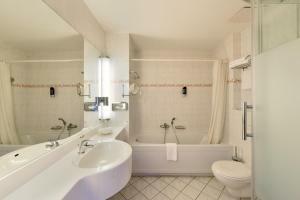 Please inform Hotel California am Kurfürstendamm in advance the total number of guests staying in this room. 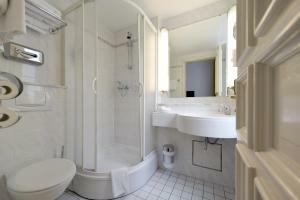 This double room features a sofa, minibar and air conditioning.